Cedric Harper is a spymaster for British Intelligence. He heads a bureau with the interesting and sinister sounding name of Department of Subversive Warfare, most certainly a branch that is not above doing quite nasty things when the situation calls for it and it would seem the situation often is so calling. 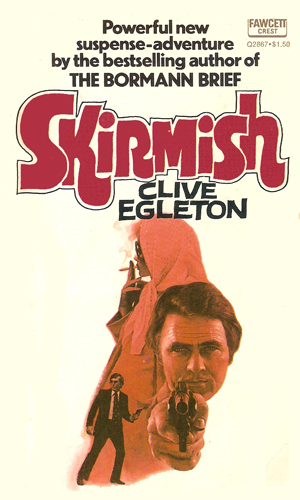 The four-book series was written by the very talented Clive Egleton early in his writing career with the first two being completed before he left the military and the third coming right after (the fourth and final would not come out for quite a time later). 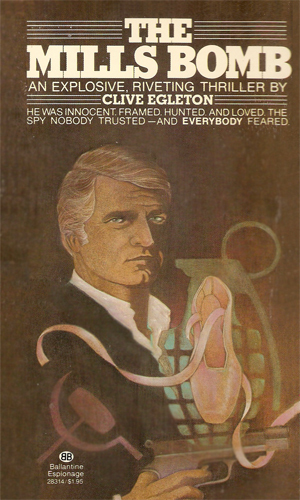 He had completed a trilogy about David Garnett, undercover operative working against Soviet occupying forces in England in a bleak alternate universe and was still eight years away from his Charles Winter spy series and two decades away from his far more known Peter Ashton adventures. The books demonstrate a gifted author honing his skills with an interesting twist to the series concept. Each of these adventures deal with totally different people in often similar walks of life but with their own stories quite separate from the others. Behind the scenes of each person's activities, sometimes without them knowing it, is Cedric Harper, pulling strings like a puppet master though occasionally the puppets do not exactly cooperate. In the first, it is a seasoned SIS agent who goes after the Russians who have kidnapped his son to force him to pull off a heist. The second has another agent going against unknown forces while trying to save a young man who had been in the right place at the wrong time. In the third, a discredited agent and ex-con is out for revenge and Harper is right behind him using him without his knowledge. Finally, the last has a military intelligence operative nearing the end of his career being used by Harper as bait. Through all of these adventures, the character of Harper is constantly appearing and disappearing but it is these other characters who dominate the stories. Nevertheless, it is Harper who plays the most important role overall as this man in his early 50's, thinking of his upcoming retirement which seems to never happen, who guides things along. 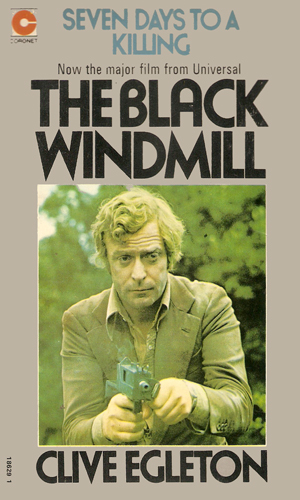 Note: The first book, Seven Days to a Killing, was made into a movie called The Black Windmill in 1974. 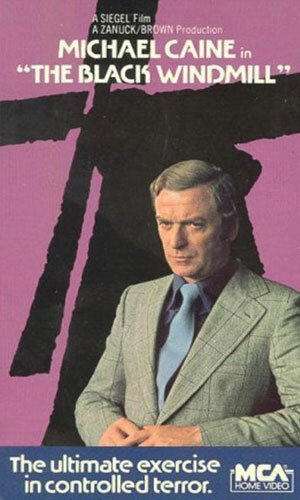 It starred the awesome Michael Caine, a decade after he first played agent Harry Palmer, as the spy who must fight both the Russians and his own side to rescue his son. The equally talented and sometimes immensely diabolical Donald Pleasence played Cedric Harper. The script, or Mr. Pleasence's interpretation of the character, resulted in Harper being a lot less sly and calculating and more skitish and almost comical. The movie was good but Harper was a lot different than the books. David Tarrant was an experience SIS agent when he is told by the Russians that they had kidnapped his teenage son and would torture and kill him if Tarrant did not come up with 500,000 pounds in diamonds. Why they would want him to come up with that is just the first of many puzzles. When former SIS agent Mills was released from prison, one of his first acts was to accost a Special Branch officer and use him to pass along a demand. Mills wanted revenge on the mole who had cost him a million pounds, ten years in prison, and his reputation. A bombing of the Joint Intelligence Bureau headquarters left several injured. One of those was Major Hollands who then finds he is forcibly retired. It is a while before he learns he is also being used by Cedric Harper as a decoy to find out who was behind the attack. Major Tarrant, an agent of Cedric Harper, learns his son has been kidnapped and he must turn over a cache of diamonds the Department has obtained. Tarrant learns even more than he already know how little he can trust his superiors. Do NOT work for Cedric Harper if you are not ready for all sorts of machinations. Harper was a planner and a plotter and the mission came first. Still, these are very good books with considerable variety in players and scenarios. Certainly those looking for each book to be a re-run of the ones before will be in for a heck of a surprise. No book has the same main character, with the exception, of course, of the devious mind of Harper. It is the writing that is the best things about this series. Extremely well plotted with lots and lots of things going all, some of which are important to the main thread but all of which combine to create dynamite atmospheres. 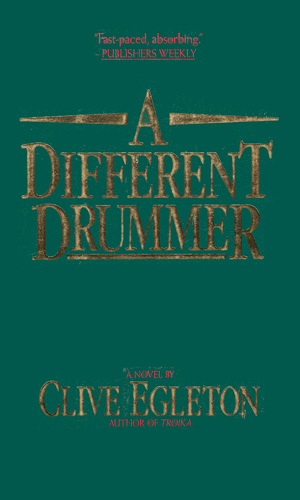 The author, Mr. Egleton, was still honing his craft so there are parts that are not perfect but in reading this series, it is easy to see why he became as good as he did, and he became very, very good.